2018 Update! We’ve added more spots to our list, courtesy of our fans across the state! Check out these other places across Louisiana that are serving up some of the best fried chicken! 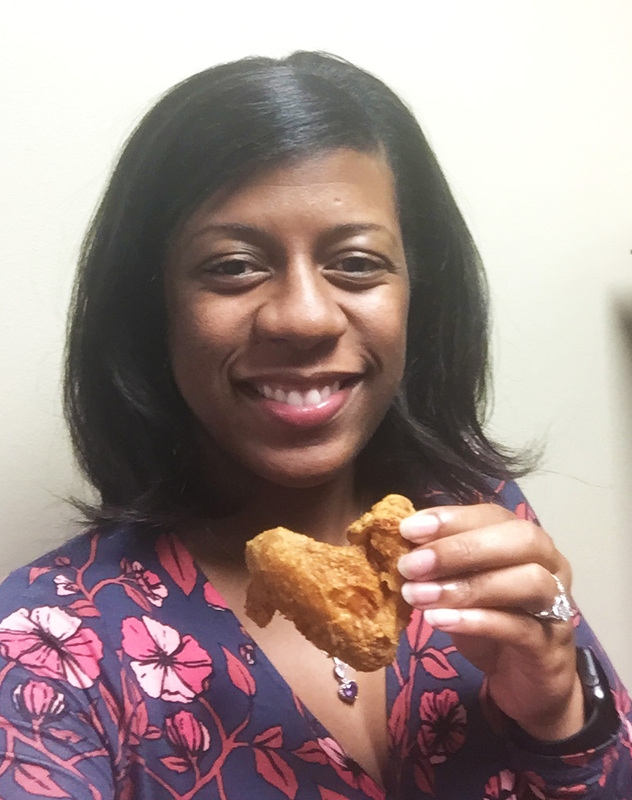 We love our local businesses, and we certainly love fried chicken! Since it’s National Fried Chicken Day, we thought we would focus on some hidden gems around Louisiana that you absolutely have to try! 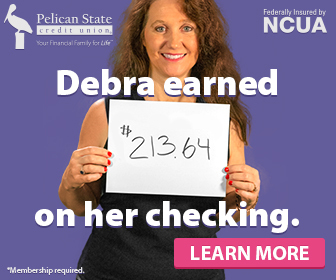 We chose a member of the Pelican family from each branch and gave them $10 for lunch at a local fried chicken spot. Hands down, this is the best there is in Alexandria! It’s always hot, fresh and yummy! They have the best deals EVER. It’s only $6.04 for a two-piece mixed with two sides! The restaurant is always clean and someone cleans up as everyone goes. 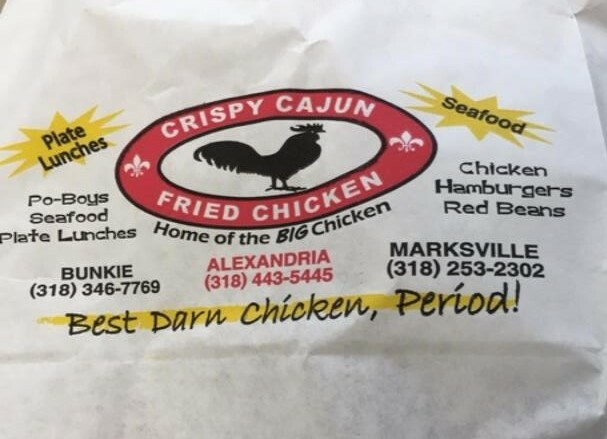 If you’re looking for the best chicken in Alexandria, Louisiana, you DEF need to take a detour here! Just ask all the visitors who come through! My Blue Store experience started way back yester-year during high school. I went to school at Southern University Lab School on the campus of The Southern University and A&M College. I remember during my junior and senior year, we would occasionally sneak off campus to grab lunch at “The Blue Store.” I’d always get wings and a soda. The original location is located on Mills Avenue on the back side of the campus. Over the years, their popularity grew and became one of the most well-known corner stores in Baton Rouge and to the students of SU. 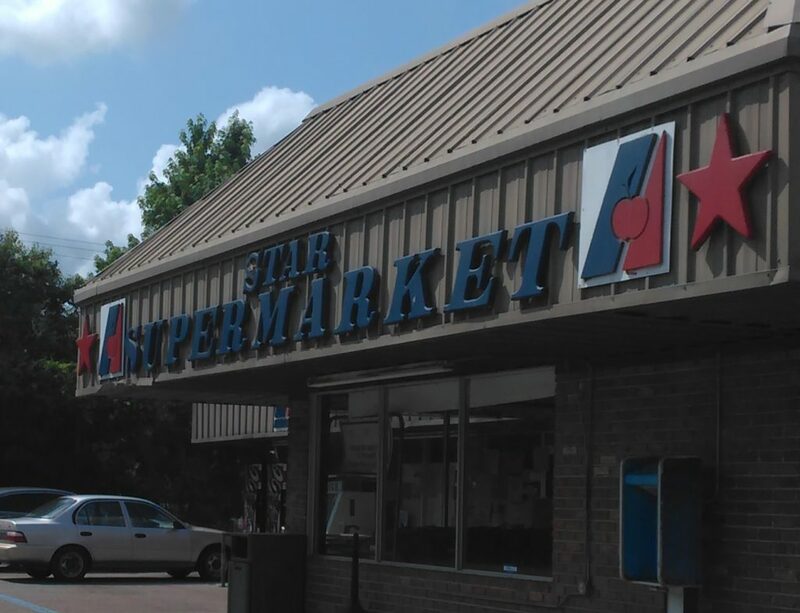 The original location is nothing more than a corner store that also offers food items. During football season, expect to wait a while for your food since most orders placed during that time are sure to be of at least 50 wings or more. The wings will always come out hot and very well-seasoned. There is no mild order to place, so depending on how you take your spice, the wings may be too hot, not hot enough or just right. Because of their popularity, it is normally not a quick run so expect to wait a short period of time to receive your order. When you do, you will never have to worry if the wings are cold! They also sell items like potato logs, shrimp fried rice and other homemade dishes from time to time. If you are ever in the area of any of these locations, you must make a stop. The cost of 3 wings is only $2.79! The second two locations both have seating areas if you’d like to dine in to enjoy the wings. My most recent order consisted of 6 wings and 3 potato logs for a total cost of $6.81! Even the potato logs are well-seasoned! Any trip to The Blue Store is well worth the wait and money! Their official business name is Triplett’s, but to me and many others in Baton Rouge, they will always be known as The Blue Store! – Brittany Evans, Corporate HQ Recruiting & Employee Engagement Rep. I consider myself somewhat of a chicken connoisseur. In fact, people call me CCC (Chris the Chicken Connoisseur)! I love chicken so much that you could even say that my blood type is deep fried. I’ve been to a lot of chicken shacks in my day, but I definitely enjoy going into Linda’s the most. When first entering the restaurant, you get the feeling of a great local business that has a family atmosphere, which makes you feel like you are at your grandma’s house on Sunday getting some homemade fried chicken. There are lots of pictures of customers on the wall so you can tell the place is rooted deep in the community. The prices were a little higher than your typical fast food chain but definitely worth every penny. 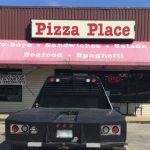 As they say, “you get what you pay for!” The restaurant is very clean and the staff does a great job of making sure all the tables are wiped down and trash free. 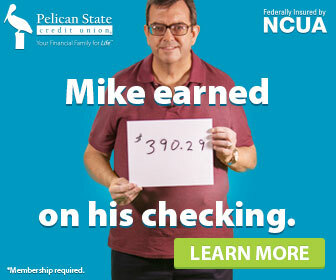 Your money will be well spent and you’ll want to go back for Linda’s fried chicken again! Gonzales is known as the Jambalaya capital of the world, but for those craving something else, Leader’s Fried Chicken definitely deserves a try! 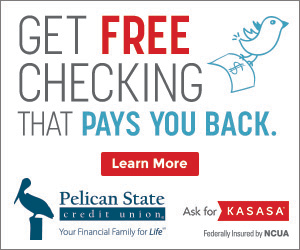 With two locations in Ascension Parish, which include St. Amant & Gonzales, you’re just a short drive away. Leader’s is locally-owned and has been a mainstay in Ascension for years. 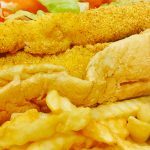 As the name states, Leader’s is known for fried chicken pieces and strips, but they also serve some of the best fried fish in town! The restaurant is always clean, and they have very friendly, hardworking staff. My order of 9 fingers included a roll and fries, but you also have the choice of rice dressing or coleslaw with a drink. The best part? My order came in for under $10, and everything came out hot and fresh! The 9-piece is considered a small, but was more than enough to fill me up and have some left over. Their tomato-based dipping sauce is amazing too! Overall, I definitely recommend Leader’s to anyone passing through and looking for the best fried chicken in Gonzales! The chicken at Jeanie’s is awesome and fried to crisp perfection. They give you the option to pick between 2 or 3 pieces of white or dark meat chicken. $8 gets you the combo with a side of fries, green beans and Texas toast. The chicken is always fresh and dropped as soon as you order, which takes about 15 minutes. 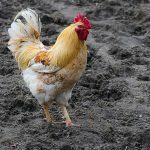 The chicken is fried golden brown and is very well-seasoned with Louisiana spices. Being that I’m from New Orleans and I live in Hammond because of work and school, it was hard at first to find a home-cooked soul food restaurant. The first day I went to Jeanie’s was a time I won’t soon forget. Once I walked in, I was greeted by the owner, Ms. Jeanie. She was very welcoming and had a big smile on her face! That made me even more excited! She cares about everyone who comes in. She makes sure you’re taken care of and ensures that the chicken is fresh and cooked well. Jeanie’s has been in Hammond for almost two years now. The inside of the restaurant is very homey with décor and some Southeastern gear as well. It wouldn’t be a Hammond restaurant without Southeastern memorabilia! I cannot recommend this amazing restaurant enough, and I appreciated the service and food. If you find yourself in Hammond, definitely stop in—you will not be disappointed! Let me tell you about some of the best fried chicken in Jackson, Louisiana. It isn’t a restaurant, it’s not even a diner, it’s Star AG Supermarket. I normally get the lunch special, a 2pc dark with red beans and cornbread for $4.99. 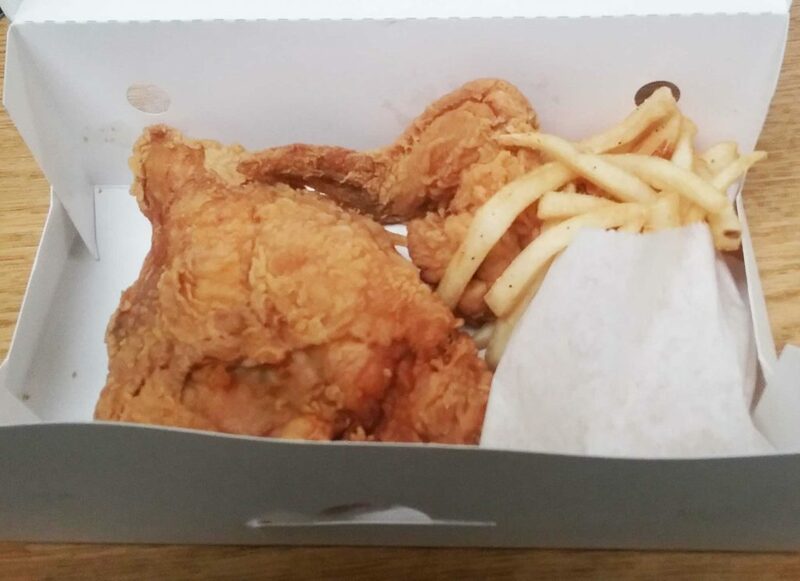 The fried chicken has a good crunchy batter, and the chicken is hot and juicy. Kind of like Popeye’s spicy. It’s a great deal for so much food! If you are ever in Jackson, stop by and get a two piece dark, and while you’re there talk to Ms. Betty! Lafayette natives know that Moss Street is the mecca for inexpensive eats. Come on down to the north side of town, and you will find the only locally-owned, drive-thru fried chicken restaurant in this city, Fat Albert’s. Lunch or dinner, you can always expect to find the drive thru line wrapped around the building—and for good reason. I walked into a crowded lobby, placed my order with the bright-eyed cashier, and anxiously awaited my savory entrée. Side note: You’re probably going to want a few seconds to drool over the lengthy menu of hand-battered comfort foods. Ten minutes and less than $10 later…the moment I’ve been waiting for! It took all of my self-restraint to take a picture of this breathtaking plate of heaven without diving right in. Two pieces of golden, crispy, thick, hot and juicy chicken lay on top of a huge bed of red beans and rice with sausage, a side of traditional creamy coleslaw and a soft roll. Not only was the chicken next-level, melt-in-your-mouth amazing, but the red beans and sausage were cooked down and seasoned to absolute perfection. The coleslaw was simple and crisp. It’s the perfect cool complement to balance the well-seasoned chicken and red beans, which leave a lingering tingle in the back of your throat and might make your nose run just a bit. To me, that is a sign they use just the right amount of cayenne pepper! My favorite fried chicken spot in Lake Charles is definitely Ball’s Fried Chicken! They’ve been a local favorite here in Southwest Louisiana for years, and everyone knows that when you crave fried chicken, it’s the only answer! The restaurant is very clean, and most people choose to carry out because of how small the building is. The prices are extremely reasonable, ranging from as little as $2.00 to $25.00 to feed the family! 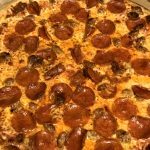 I ordered three single pieces that were $5.00, which I feel is well worth the money for the quality and taste! Their chicken is always extremely fresh, and it has great flavor! If you are someone who prefers spicy chicken, Ball’s is absolutely the place for you! I would highly recommend anyone passing through the Lake Charles area to stop and try the best fried chicken in Louisiana! My favorite fried chicken spot here in Monroe is Southern Classic Fried Chicken. I always order their two-piece white combo with a good ole refreshing sweet tea! This combo costs no more than $7.00, which I think is great because the food is always fresh and delicious. This restaurant does not have a dine-in section, but the surroundings are great and so is the chicken. They also have great chicken fingers! 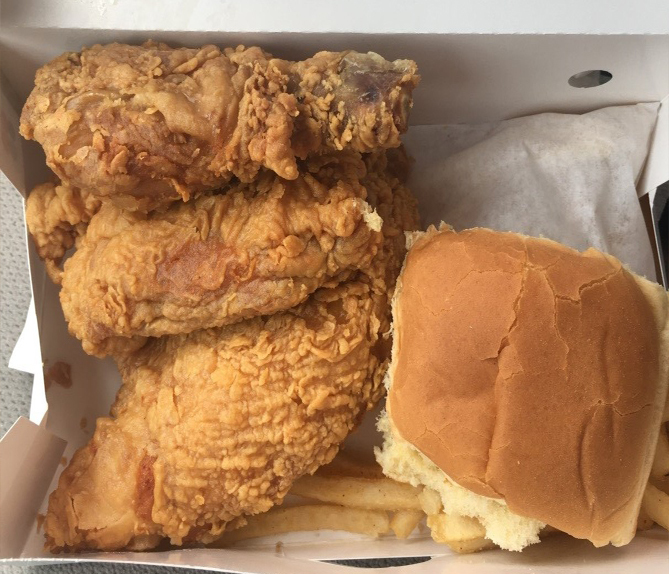 I would most definitely recommend this little chicken spot, so if you are ever passing through Monroe and got a taste for some fresh, crispy fried chicken with a little kick to it, then you’ve gotta try Southern Classic Fried Chicken! Mmm mmm, good! 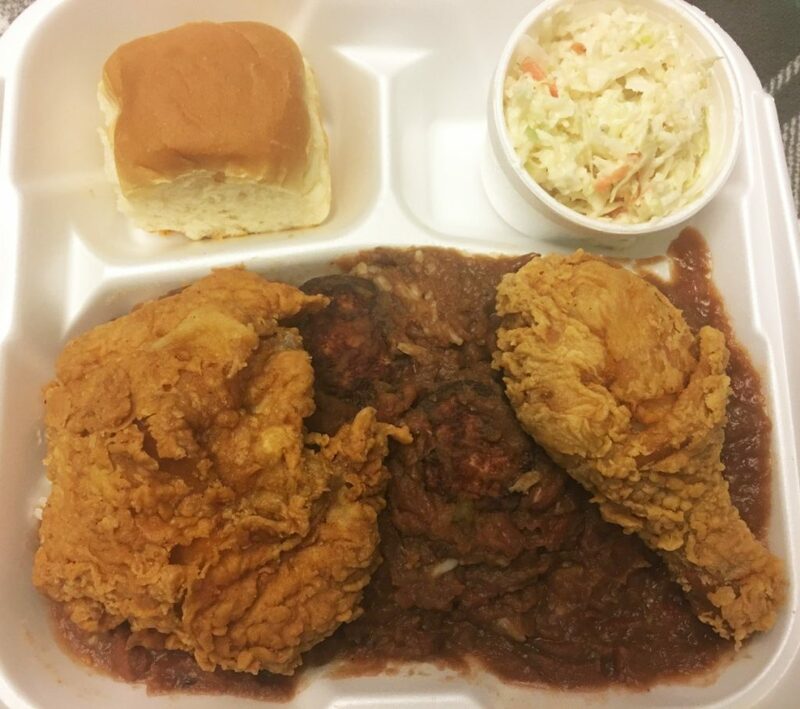 Fried chicken is as southern as sweet tea and gumbo and this classic southern favorite is a popular dish at Soileau’s Dinner Club in Opelousas, Louisiana! Soileau’s is known for its long standing in the city. They originally opened in 1937, and 79 years later, the quality of the food is still top-notch and the prices are still reasonable. Half of a fried chicken is $9.95 and includes your choice of side, salad and a roll. The chicken is moist and fried to crunchy, golden perfection! No matter what time of the day you visit, you’ll receive outstanding customer service! 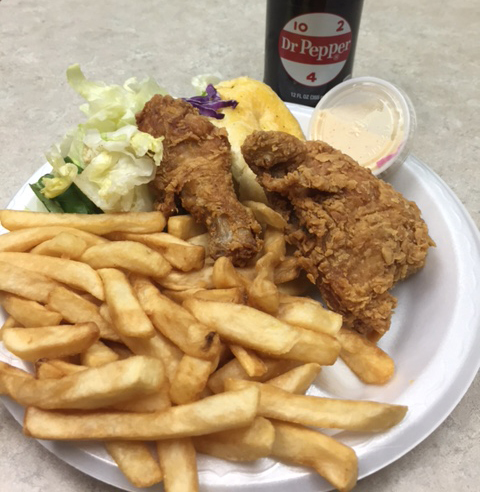 The authentic southern fried chicken at Soileau’s is highly recommended if you ever find yourself in Opelousas! One bite into Darrell’s and oh my goodness—my eyes were opened, and I knew I found a new favorite! For a three-piece meal with onion rings, it costs $8.33. This might sound a little steep, but the pieces of chicken you get are by far the largest I’ve ever seen. As for the taste—OUT OF THIS WORLD! The onion rings are also DA BOMB! They give you so much food that you always have leftovers. It’s a really great, clean atmosphere, too. They definitely represent the Tioga community! There are pictures from local sports teams on the wall, and it’s very welcoming and spacious. If you haven’t stopped by Darrell’s in Pineville, you are missing out on a hidden treasure! 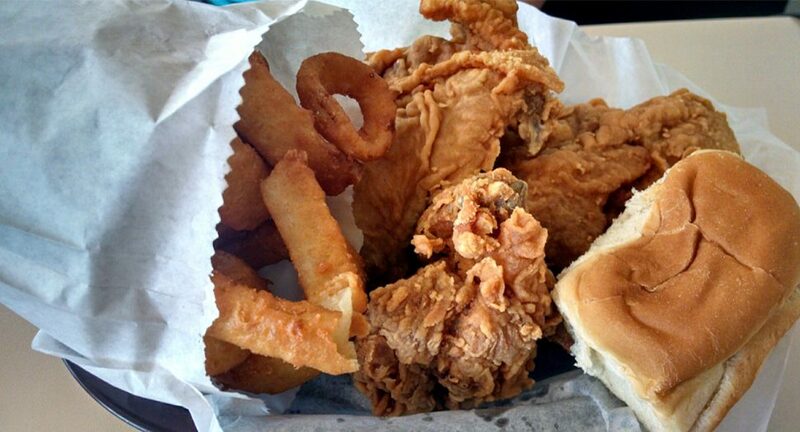 The best fried chicken in Shreveport is definitely Southern Classic Fried Chicken. 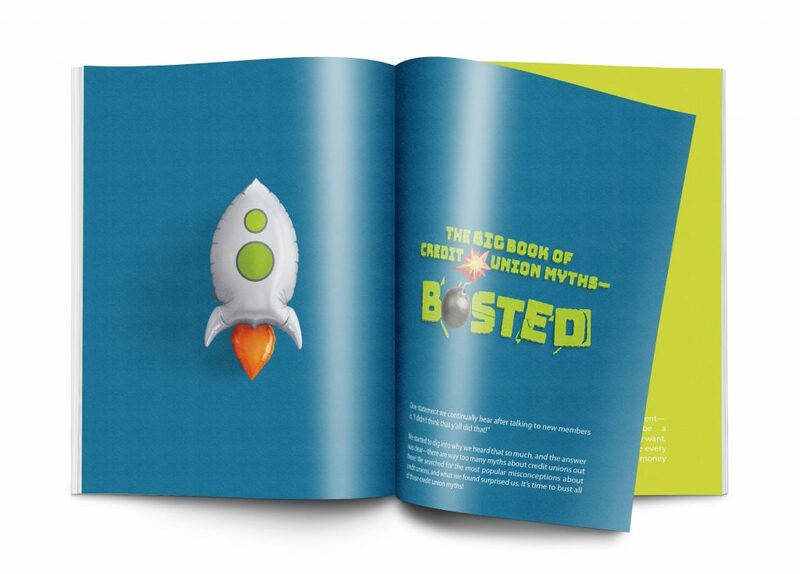 The prices are very reasonable, and it is worth every penny! I usually visit Southern Classic twice a week if not more! Ha ha—it’s that good! Their chicken is very fresh and spicy, and the fries are really awesome because of the seasoning that they use. They also have fried chicken strips, and those are delicious with some BBQ sauce. If you stop by, you also have to get a large strawberry drink on the side. There’s just something about that combo that makes your mouth water up. They’re in several locations in Shreveport and all are drive-thru, but you can eat outside on the deck if you would like. 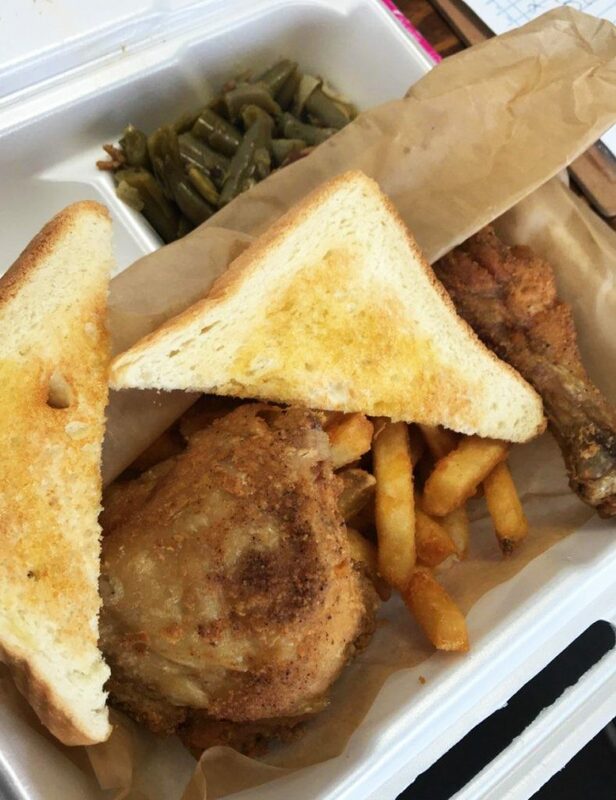 Sometimes you have to time it right to go, because if you go during lunch or Sunday after church, the lines are always in the street—that’s how much everybody loves Southern Classic Fried Chicken! I always tell people that when they come and they want some incredible fried chicken, they need to go to Southern Classic! 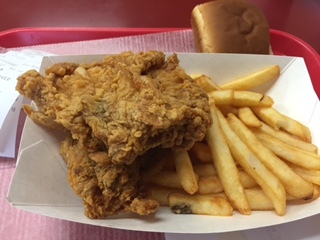 For the best fried chicken around, I always go to Big Boy’s Drive-In in New Roads. In my opinion, they have the crunchiest, most flavor-packed bite of chicken you can get your hands on! True to its name, Big Boy’s doesn’t disappoint with the portion sizes. Did I mention it’s affordable? 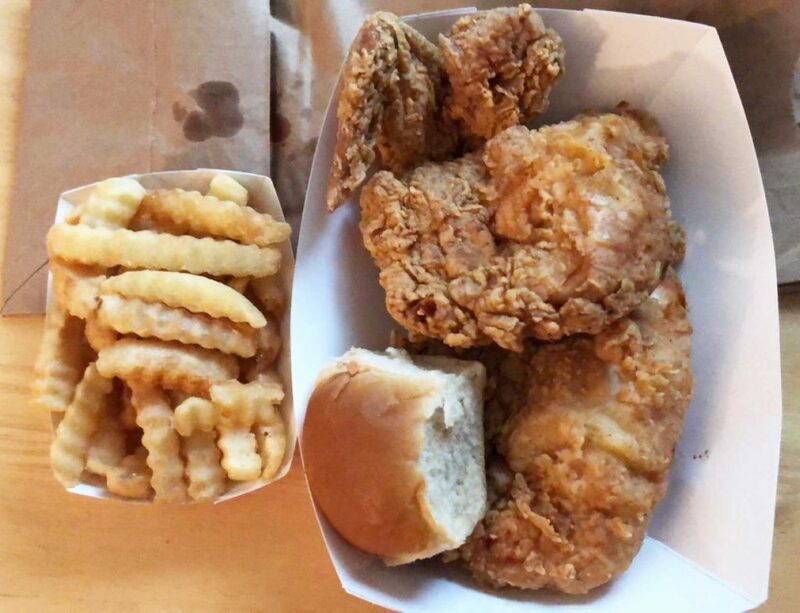 For just $6.88 you can get a 3-piece meal with your choice of white or dark meat, a roll and a side of fries. I can’t complain there! I promise, the smell alone will have you wanting more before you even finish your first order! Since Big Boy’s is a car-side service restaurant, you don’t even have to get out to get your food. Next time you’re needing a quick, delicious chicken fix, pull on in to Big Boy’s and try some of their finger-lickin’ fried chicken! For the full experience, I recommend topping your meal off with a chocolate shake or banana split! ENJOY! Have you been to any of these spots? 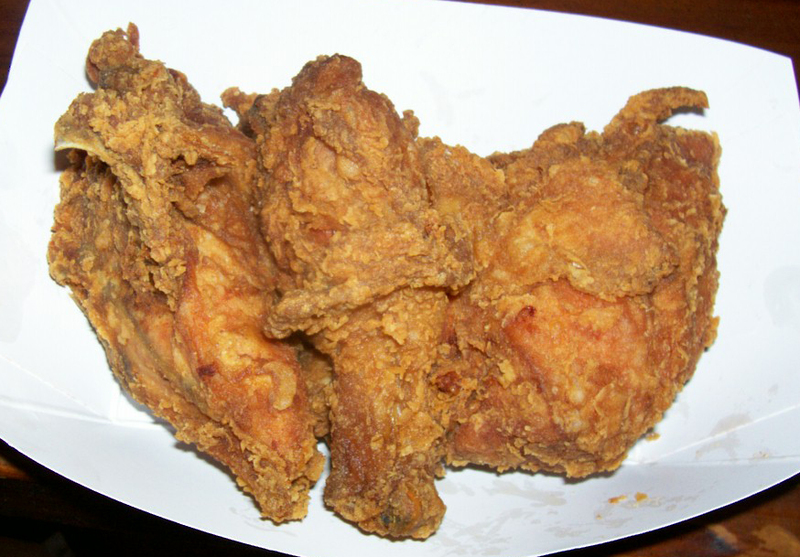 What’s your favorite place for fried chicken in Louisiana?